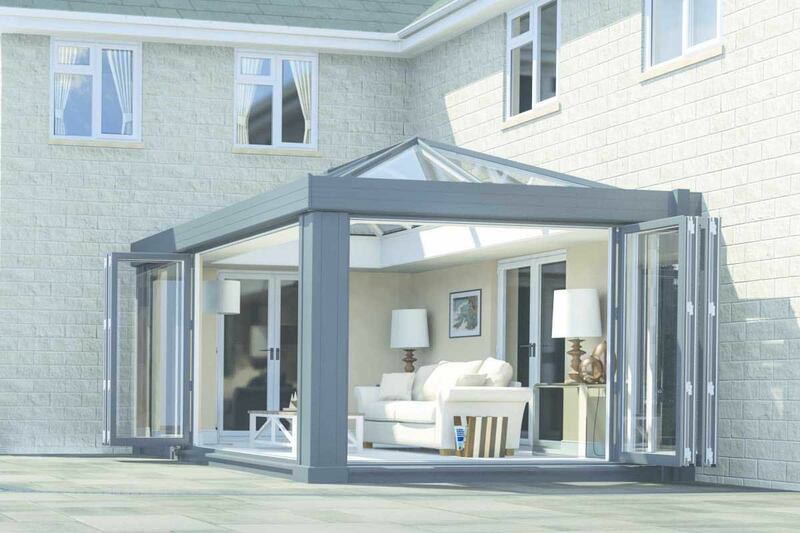 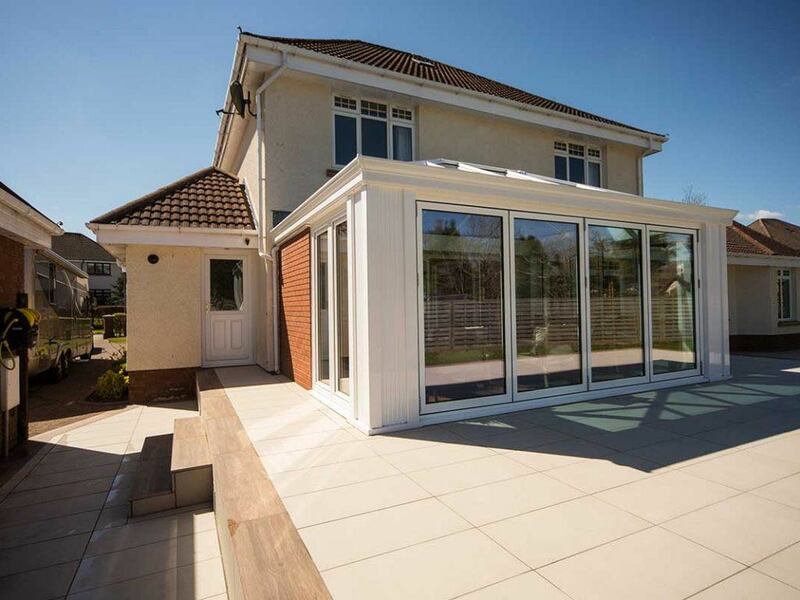 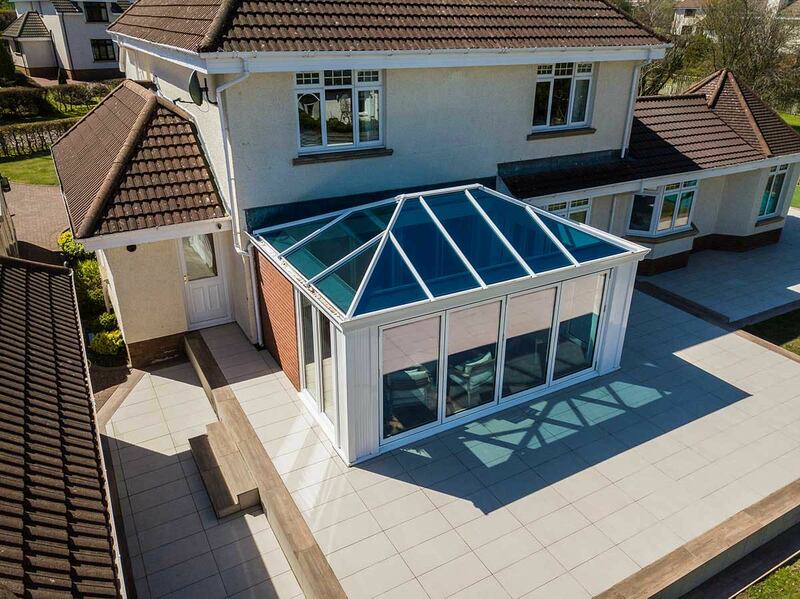 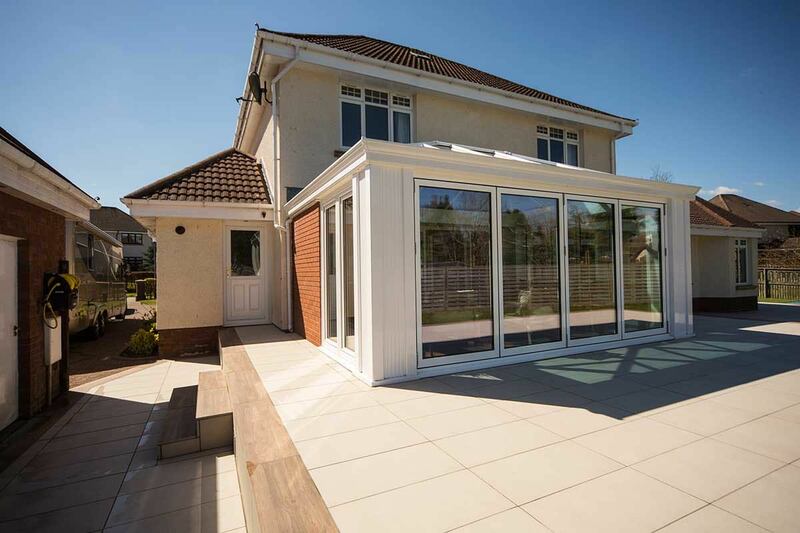 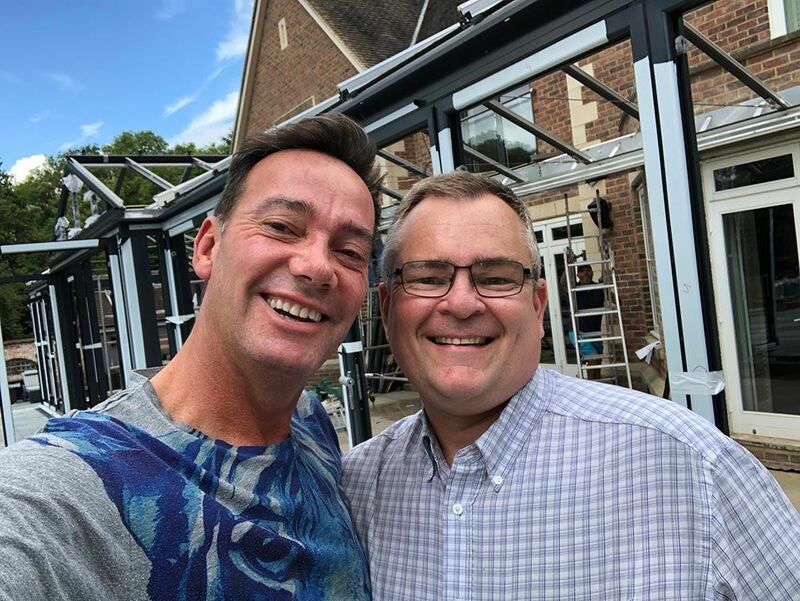 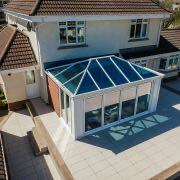 Designed to offer maximum light, without compromising on solidity and thermal efficiency, our contemporary orangeries combine the Ultrasky roof, super insulated columns and a hidden structural goalpost to support wide-spans of bi-fold doors. 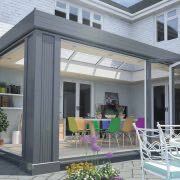 This design is also compatible with sliding doors and full height windows. 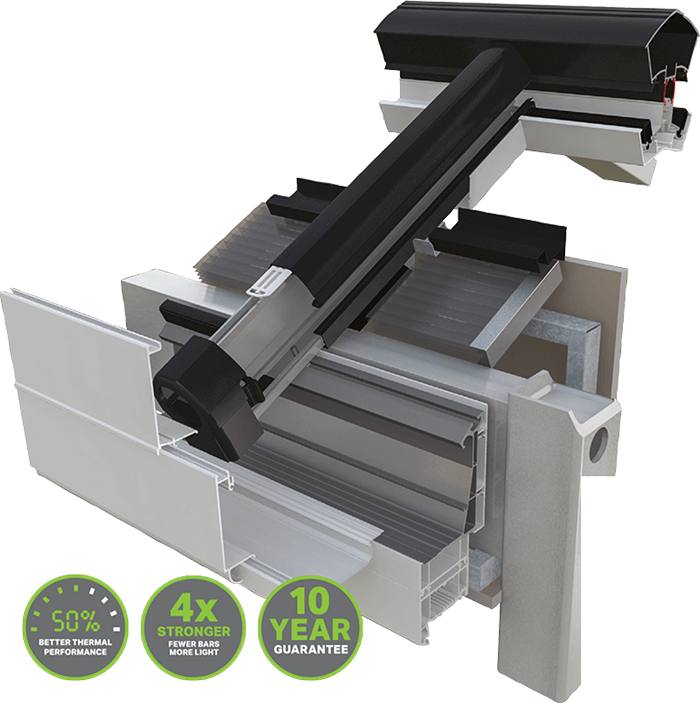 Features super insulated columns that are five times more efficient than a brick pier of equivalent size, allowing for outstanding performance. 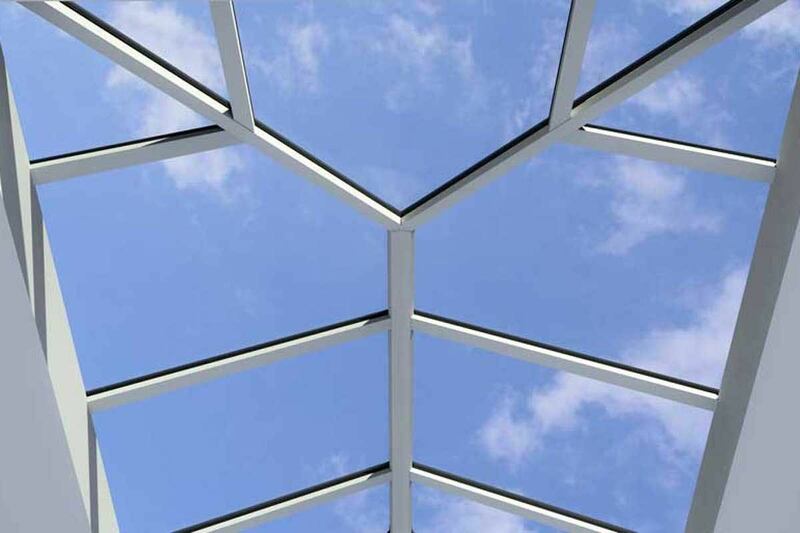 Comprises a perimeter ceiling that is available to be size up to 1.2m wide, allowing you to offer an authentic ‘room like’ feel inside. 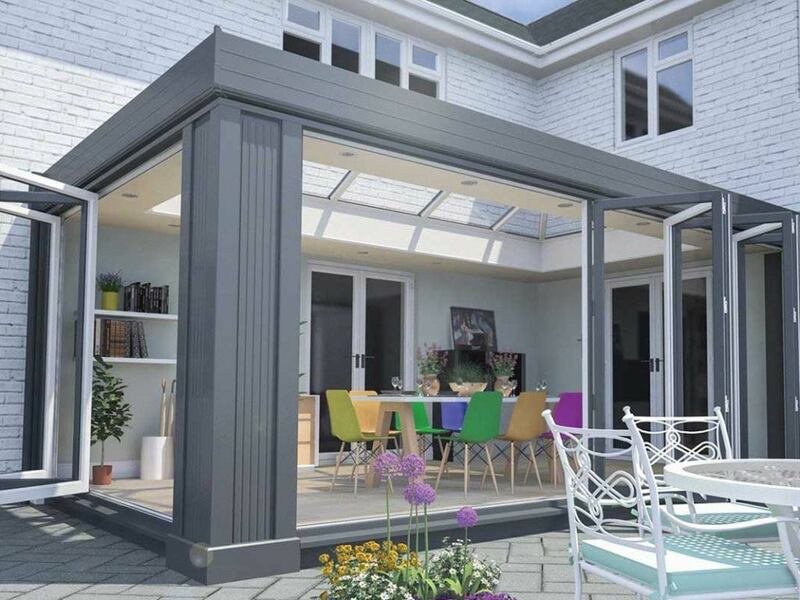 Integrated structural support for bi-fold doors up to 6.5m, allowing you to accommodate a wider range of project needs and customer tastes. 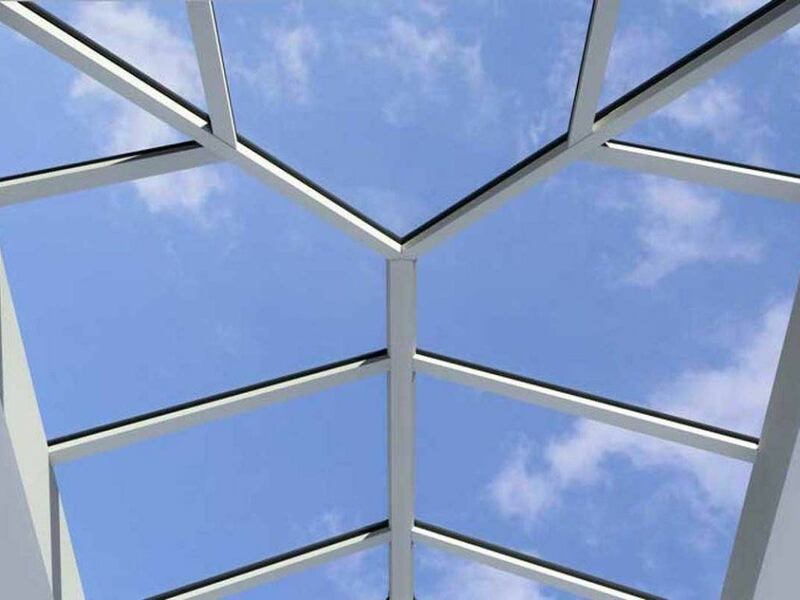 Integrated structural goalpost to take the pressure of the frames and doors, hidden within the roof system to maintain appearance. 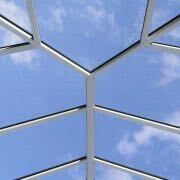 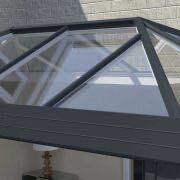 A super strong ridge creates a minimalist design, offering fewer bars for quicker installation. 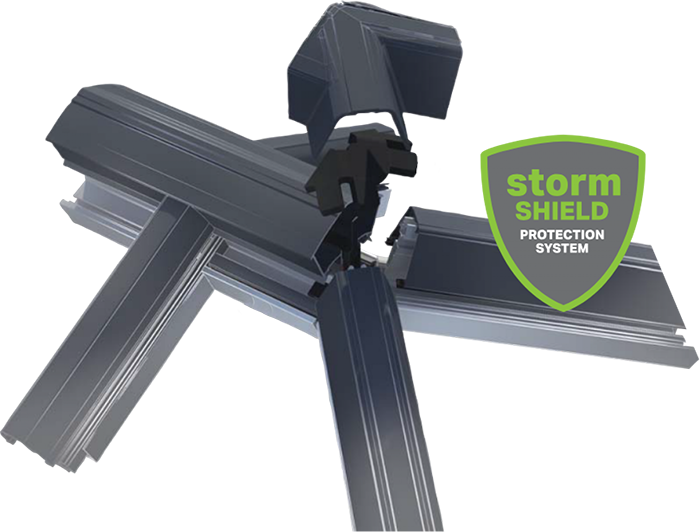 A fully thermal system combines with an insulated internal pelmet for better heat retention. 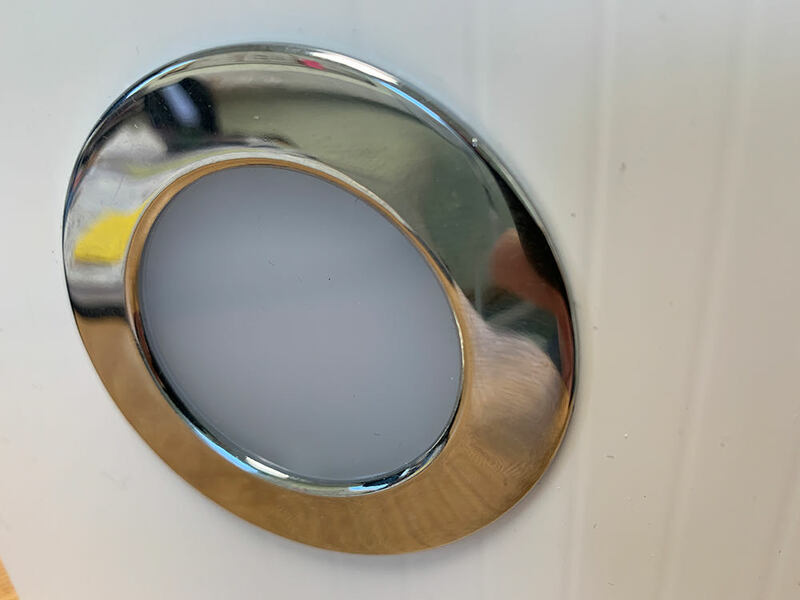 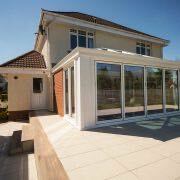 Bespoke colour options to match the décor of the windows and doors. 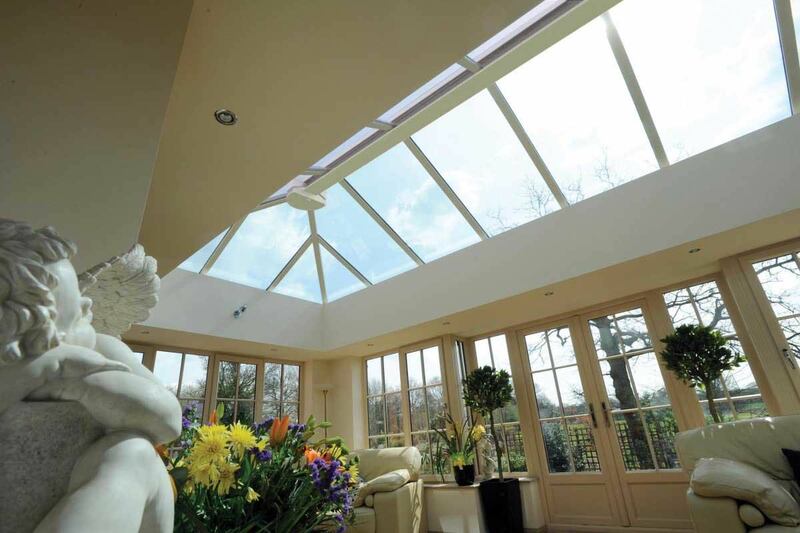 Suited to modern and traditional homes alike. 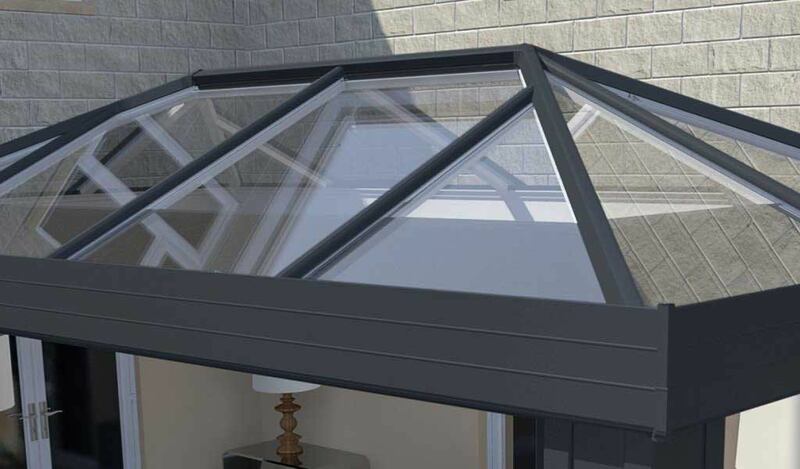 Available in double hipped Georgian with boxgutter, Georgian, and fixed 25° pitch. 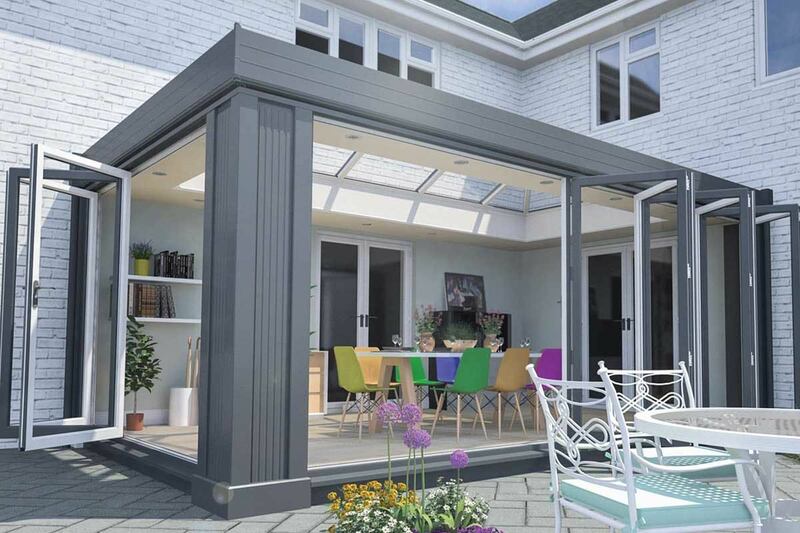 The addition of an interior set of bi-fold doors. 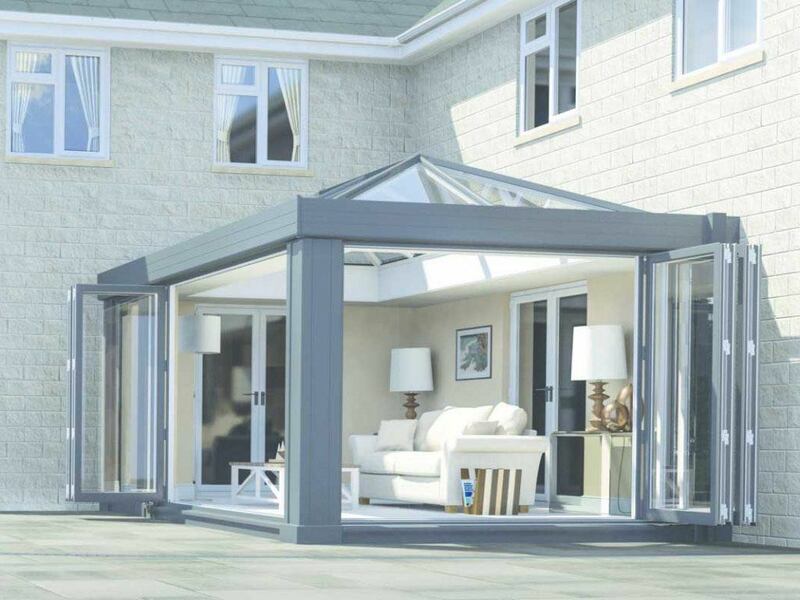 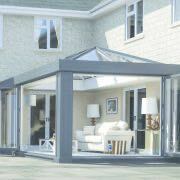 Visit our online quoting engine to get a free, instant, and highly competitive contemporary orangery price. 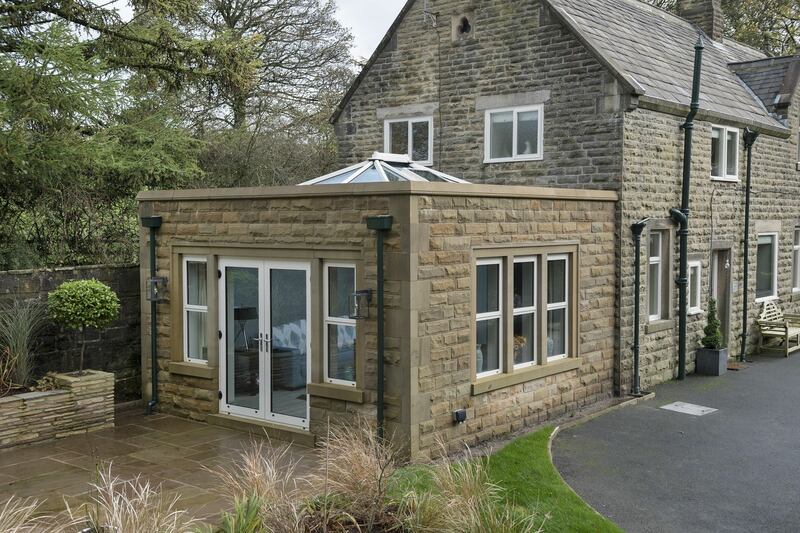 Simply input your details to get a bespoke price based on your needs, or get in touch via our online contact form to speak to a member of our friendly team who will be more than happy to help.